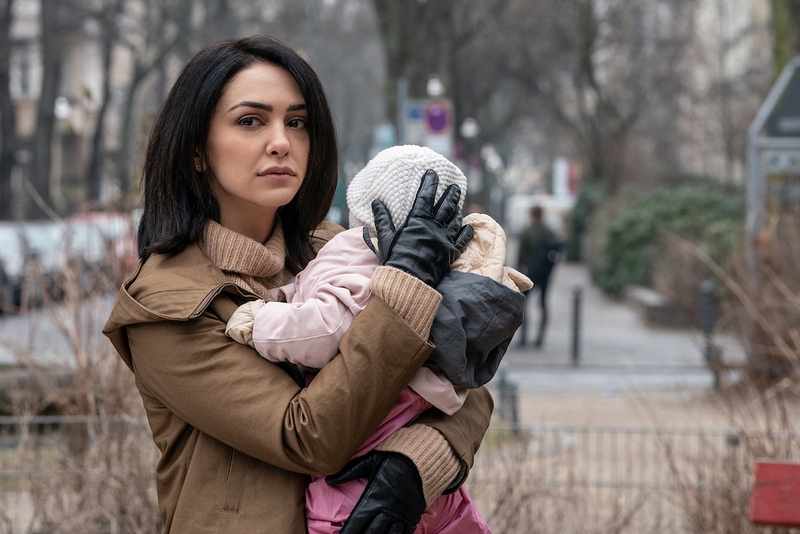 "Counterpart" Season 2, starring JK Simmons and Nazanin Boniadi, delves deeper into a duplicitous world without a discernible escape plan. 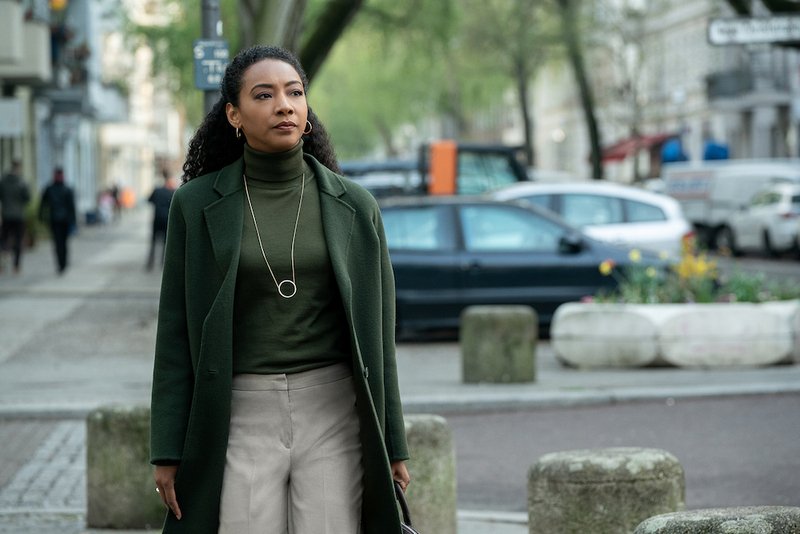 “Counterpart” Season 2 continues the war started in Season 1, but it struggles to see past the fight. With one version of J.K. Simmons stuck leading a life he hates and the other trapped in a prison he refuses to leave, the action in Justin Marks’ new episodes expands to everyone around them, bouncing from old characters to new ones and sometimes ping-ponging again between those characters’ twins. All these ricochets create quite a maze, twisted further by everyone’s deep, shifting ties to various forms of espionage. In short, the plot can be a lot to track, which can overwhelm the human connection driving the story. But more often than not, Marks finds empathy and momentum at exactly the moments you might feel lost, and, aided by crisp direction from Charles Martin and Kyle Patrick Alvarez, “Counterpart” lends enough emotional oomph to its expanding story to justify further investment in a smart, promising series. In the first scene of Season 2, new cast member Betty Gabriel (“Get Out”) is briefed on what viewers of the intricate spy thriller already know: There’s a parallel universe, accessible through a heavily fortified portal, that leads to a world slowly but steadily diverging from our own. Originally, this “Prime” world exactly mirrored the “Alpha” existence, back when German scientists created the parallel plane in 1987, but they went off on their own track over the years, and now the groups on either side of the gateway are at war. Though a violent office ambush in Season 1 sealed the crossing, no one can agree on who’s to blame. The two bureaucracies have suffered from infighting for years, which has caused tension to bleed through with each person passing between worlds. But infighting is also a presupposed reaction to discovering the existence of another version of yourself. Gabriel’s Naya Temple, an ex-FBI agent interviewing to help the O.G. world’s border guards find spies from the other side, learns as much via an old-timey video: She watches two mirror selves meet each other for the first time and promptly throw down. The two men move from incredulity to exchanging blows within seconds, all because they’re scared of where the other came from, why they’re here now, and who they really are. Pair this presumption about human instinct with the ending of Alex Garland’s 2018 film “Annihilation” and you’ve got quite a thesis on pessimism trumping curiosity, but what matters to Season 2 of “Counterpart” is the audience believing these two sides must never meet. The results would be catastrophic, viewers are told, which is why Howard Prime (J.K. Simmons) has dedicated his life to preventing that from happening, and Howard Alpha (also Simmons) is locked in a black site called Echo until a truce is restored. Through the dense fog of spycraft, this wisp of motivation can get lost. All the betrayals, trades, and double-crosses — not to mention the many, many deaths — are based around saving the world, yes, but saving it from itself. The metaphorical applications within the story feel endless, from warnings of preventative government overreach to nostalgia for choices that could have been changed. Season 1 was more grounded. Howard saw Howard, and each saw what they may have been had they made other choices. The human tendency to wonder “what if…”, paired with Simmons’ still-potent performance, made for a compelling character study as well as a wild thriller. Season 2 is decidedly more of the latter. Less Howard and more of his peers isn’t necessarily a bad thing. Gabriel is great, while Olivia Williams (as a purposeful spy who’s also Howard’s wife) and Nazanin Boniadi (as a cunning spy) make early episodes an enticing showcase for the women of “Counterpart.” But the two new narratives — one about finding a rogue assassin, the other a mole hunt — lack characters with morals as divergent as the two Howards. Weakening their parallel storylines lessens the impact of the show overall, even when it’s exciting to watch the chess match play out. Charles Martin, who directs the first episode, and Kyle Patrick Alvarez, who helms the next two, help keep “Counterpart” on course. Each move is carefully considered — even changing an angle mid-conversation can be informative — and the sharp, clean lines of each frame give the impression of order when chaos threatens to consume the scripts. An exacting performance by Simmons, again, goes a long way toward illustrating just how crucial clarity can be in the growing, changing realm of science fiction. Only three episodes in, there’s a lot that can change in Season 2. “Counterpart” was nimble a year ago, pivoting around expectations to consistently reward engagement. Now, it’s reliant on that engagement, drifting further and further into a maze of its own making. Luckily, it still has the characters and the craft to find a way out. “Counterpart” Season 2 premieres Sunday, December 9 at 9 p.m. ET on Starz.